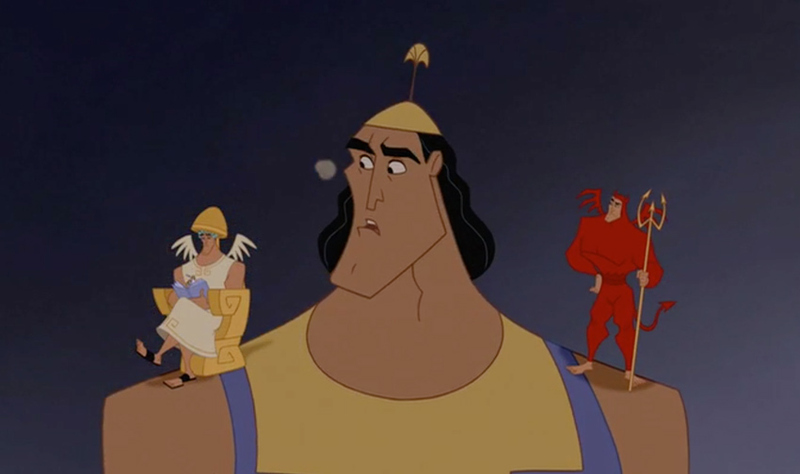 The Emperor’s New Groove – Did You See That One? 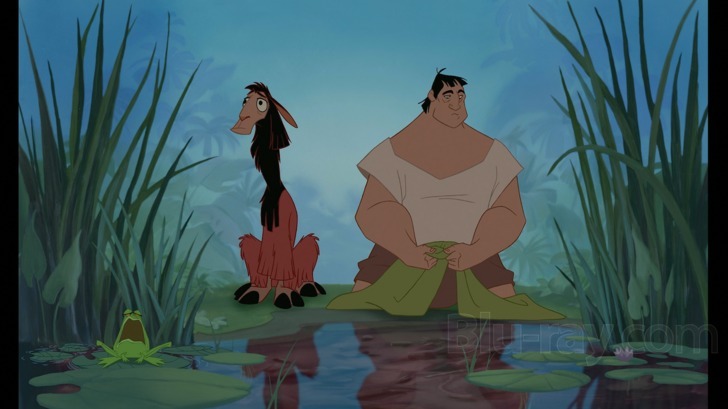 After Yzma (Kitt), Emperor Kuzco’s former assistant, turns him into a llama he’s forced to rely on Pacha (Goodman) to help him regain his throne. 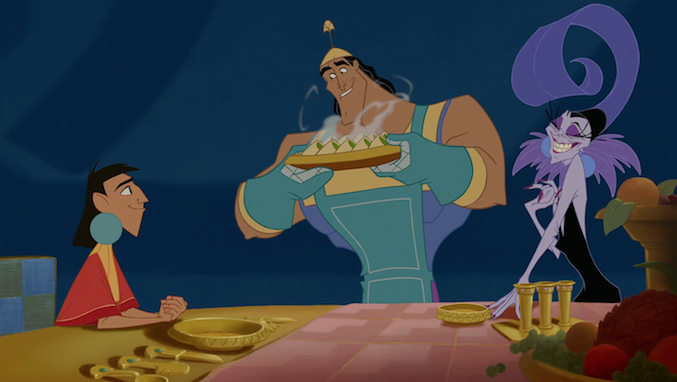 Along the way the Kuzco will have to convince Pacha that he’s worthy of the second chance. 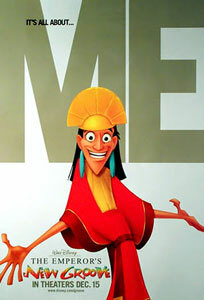 The Emperor’s New Groove was the 40th animated feature film from the Disney Animation Studios. The story originated with Roger Allers (Aladdin) and Matthew Jacobs (Paperhouse). The screenplay was written by Chris Williams (Big Hero 6) and David Reynolds (Finding Nemo). Disney veteran Mark Dindal (Chicken Little) directed the film. The voice acting includes work by David Spade (Joe Dirt), John Goodman (Monsters University), Eartha Kitt (Holes), and Patrick Warburton (Ted). This story does all the right things to feel at home among the 39 Disney animated features that came before it. The world of the film is quickly established with all of the unique little twists it needs. The characters are all introduced in a number of wonderful scenes that immediately establish the basis of who they are. After the setups this one gets going and moves along wonderfully. The mix of heartwarming and comedic moments blend together nicely. The comedy is especially good since it plays to adults and children all at once. That kind of multi-leveled humor is such a big part of why this one holds up so well after 15 years. The voice work done in this one doesn’t ask the stars to stretch much. Instead, the stars are allowed to be themselves and allow their own unique styles to blend together into a collection of great performances. 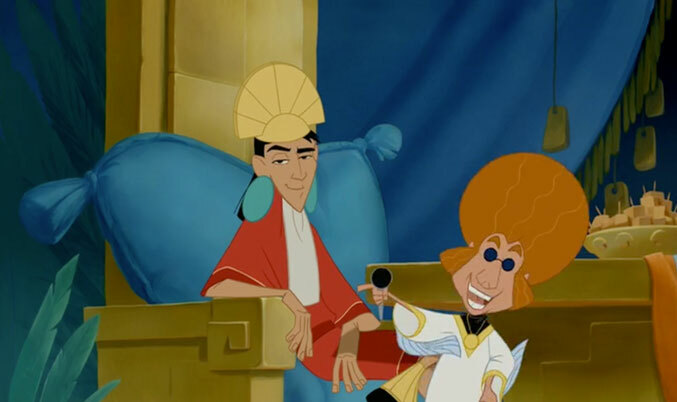 David Spade was a great choice for the role of Emperor Kuzco. The role allowed him to use his unique sense of sarcasm and comedy perfectly. The writing really played into his abilities nicely. John Goodman also does a great job playing a role that is opposite of Spade’s in every way. He does a good job with the more serious parts of the story, but also handles the comedy perfectly. Patrick Warburton does a really awesome job a character that becomes one of the unexpected highlights of the film. His delivery has everything to do with making his role so great. 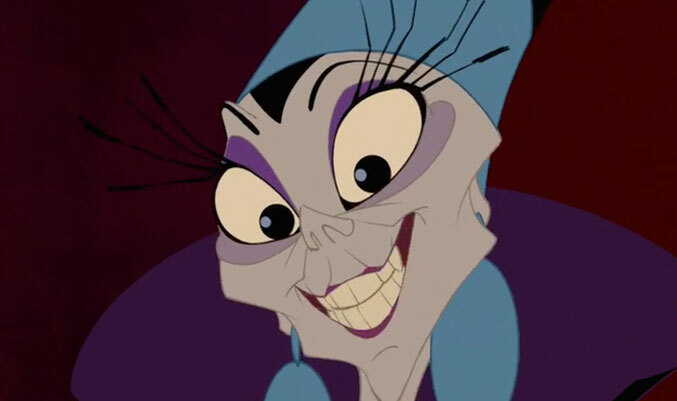 Eartha Kitt was also an excellent choice to play the villain, Yzma. Her performance really plays up the wacky and sinister nature of her character. Overall, this film was cast with the right people to make it work wonderfully. This movie looks great, like most of the Disney animated features. The stylization is perfect for the setting, and everything visual works with the story. The movie also features a number of nice songs that play well with the themes. Sting (Cold Mountain) and David Hartley (In Bruges) were nominated for an Oscar for Best Original Song for “My Funny Friend and Me”. Overall, this movie brings together all of the components that turn a movie into a “Disney movie”. This is a great movie that has held up well since it was released in 2000. It’s a film that almost didn’t happen after numerous production delays and issues threatened to shut it down. Thankfully, the studio had enough patience and saw this through to the end. Disney fans should not only see this one, but probably have a copy of their own. I would also recommend this one to anyone who loves family comedy. I give this one 5 out of 5 stars.